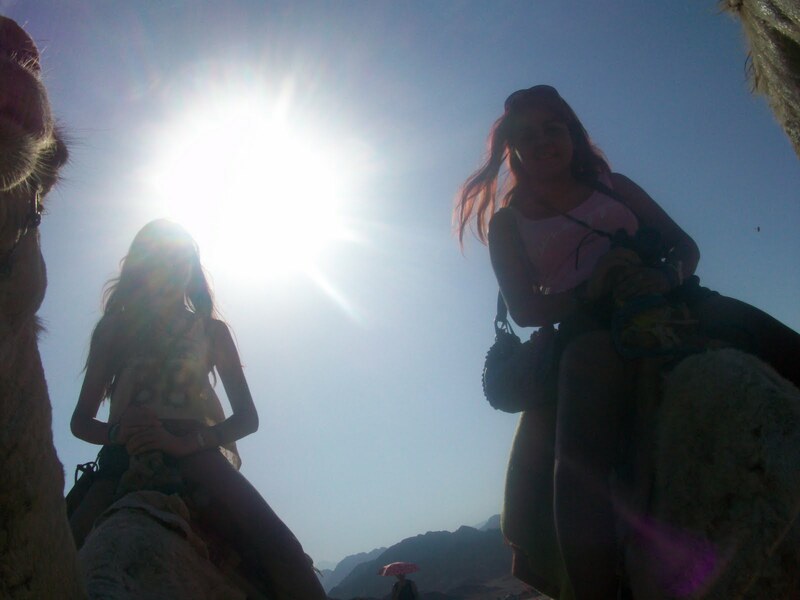 Camel riding has been on my list of things to do in life for a while now. I am no good with animals (see previous articles). But a little determination can go a long way. The first camel I approached showed me its teeth and started making funny and really loud noises and he managed to scare the crap out of me before I even sat on him. So I plainly refused to get on him as we had already got off to a bad start, it wasn’t meant to be. The second camel I approached almost started to do the same thing but not as badly as the first. So I managed to get my rather small leg over its massive hump which was a mission considering I was scared out of my brains at the same time. I managed to get comfortable before he raised his hind legs and then forelegs to stand up; this was the most frightening part. When he stood it wasn’t so bad and the movement of him walking wasn’t as vigorous as expected. But my camel tended to have a rather fond liking towards my sisters camel and kept going towards him. When the camels got close we could feel their fur rub against our legs which wasn’t pleasant and caused us to scream, so I just ended up kicking my sister’s leg to keep my camel at a separable distance from hers as she too was freaking out when they got too close to one another. 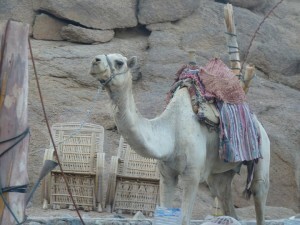 The Bedouin people guided our camels forward with a rope that was attached to them. Some were children as young as seven and not all spoke English. The man that was guiding mine was partially blind and we had a wonderful conversation about London. They were all very friendly to us tourists indeed but we had prior warning from our tour guide not to tip them more than ten Egyptian Pounds, which is the equivalent to one Great British Pound. He also said they would try their best to rip us off and it was true. Luckily I said I had left my money in the coach because our tour guide told us we would only be needing a certain amount. Others ended up saying more as the Bedouins were very persuasive. The same evening we went star gazing in the pitch black desert. An astronomer showed us how the stars are used to show direction in the desert for example which way is north and how to recognise it in the sky. We were shown the star signs also visible in the sky at that present time like Leo, Virgo, Libra, and Scorpio. 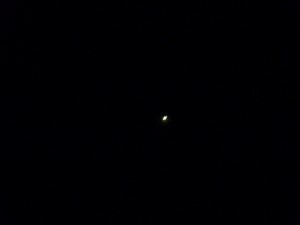 But the most interesting thing to see was the planet Saturn through the telescope. The astronomer also managed to take a picture of it with my camera using the telescope. Take a look at the picture … that’s Saturn babay!! !